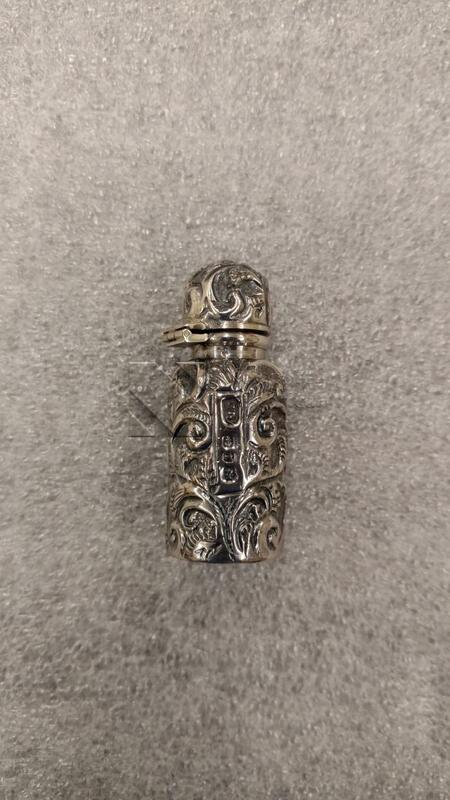 Small bottle with hinged lid, with repousse style in rococo revival style. Inside it has a crystal ground glass stopper. Inscribed with the initials "CM", an anchor, a mermaid and a lion.